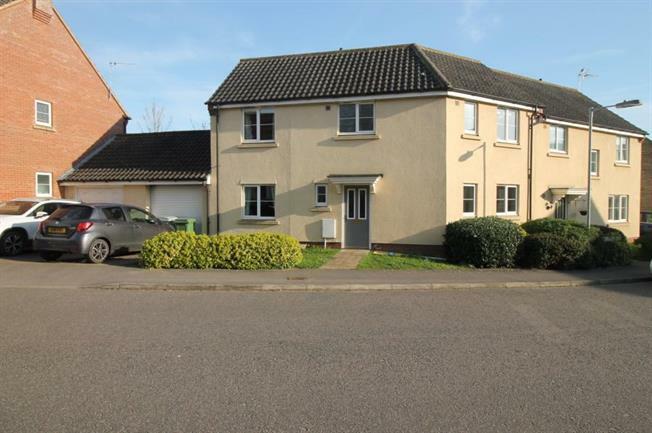 3 Bedroom Semi Detached House For Sale in Norwich for Guide Price £220,000. VENDORS HAVE FOUND A stylish and contemporary three bedroom semi detached property offering generous accommodation in a popular village location. The village of Little Plumstead dates back before medieval times where it was an important area for the production of fruit for the nearby city of Norwich which lays around five miles to the South West. The ground floor accommodation includes a spacious fitted kitchen diner, a ground floor cloakroom, reception room and large conservatory. To the first floor you will discover three bedrooms, with en-suite to master and a modern family bathroom suite. The property comes complete with an enclosed rear garden and garage. Internal inspection will be essential to appreciate the space and position on offer.